Peaasi.ee promotes mental health of Estonian youth. Peaasi.ee helps early detection of mental health problems. Peaasi.ee facilitates access to appropriate help and earlier intervention. NGO Peaasjad (Head Matters, in English) was established in 2009 by mental health specialists working for the Psychiatry Clinic of North Estonia Medical Centre and the team now consists of qualified mental health specialists, youth workers, ICT specialists etc. Our main objectives are to raise the currently low awareness of mental health, address stigmatisation of psychiatric illnesses and to improve accessibility to mental health services by referring young people to appropriate help. In order to achieve our goals, we have created this website – Peaasi.ee – which provides information and online consultations. This website is to this day one of its kind in Estonia. We provide comprehensive information about different mental health problems and general mental health topics. We facilitate online consultations by clinically experienced mental health specialists with the objective to ensure that young people with possible mental health problems find prompt and appropriate services. We have started a great promising project since December 2013 “Peaasi.ee – online consultation, web platform and digital solutions on mental health for Estonian youth”. This project, realised during years 2014-2015, takes our website into a new level concerning presentation of information on mental health and relevant problems. We will create useful digital self-help tools and trainings to improve cognitive functioning. Also we’re improving our online consulting service. In our network co-operation we include young people, specialists working with youth and mental health specialists. In the framework of this project our goals are to raise awareness of mental health topics among young people and people working with young people, decrease the stigmatisation of people with mental health problems, support better accessibility to mental health services by fostering help-seeking behaviour and facilitating online consultations, prevent and relieve mental health problems and facilitate early interventions, and to develop the website Peaasi.ee into an attractive, popular and available platform. The activities planned in the project are aimed at the main target group – young people between ages 14 and 26 as well as the indirect target group – people who are involved in the lives of the young people (e.g. health workers, youth workers, teachers, parents etc.). The direct target group will be involved in all stages of the project. We intend to carry out analyses of attitudes related to mental health topics and engage young people in the process of developing Peaasi.ee. The indirect target group will also be involved in the process of this project in a similar way. Ensure ongoing online consultations and raising the number of people receiving consultations. Develop comprehensive and interactive information materials on mental health and disorders. Develop cognitive training tools to enhance cognitive functions. Analyse mental health discourse among young people. Raise public awareness on relevant mental health topics. Inform and include the target groups. Include indirect target groups in developing information materials. In order to carry out the abovementioned actions we will be working closely together with our partners (Tallinn Youth Work Centre, Estonian Teachers, various NGOs specialised in different subtopics of mental health and Cognuse Ltd, which is specialised in developing neurorehabilitation programs). See more on our Partners page (in Estonian). The outcome of the project will be a popular, engaging, interactive website, which provides comprehensive and interactive information, online consultation, cognitive trainings and self-help tools as well as features videos and animations. Peaasi.ee will be available for desktop use and for smartphones and tablets. We believe the interest and open-mindedness of young people towards mental topics grows during this project. 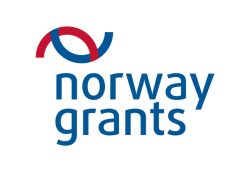 The project is financed by Norway Grants 2009-2014 Public Health Initiatives programme. In Estonia the programme is run by Ministry of Social Affairs.